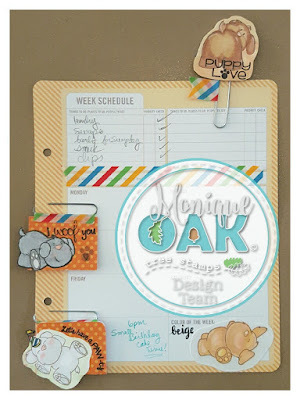 Hi Monique here from Oak Tree Stamps design Team here to bring you some super cute little Planner Paper Clips. For this project I used The Oak Tree Stamps - Puppy Love Collection...It's soooo cute! So I needed a bit of decoration for my planner & decided on Puppies because it was the week of my son's Simon's Birthday. And well he loves puppies. Almost all the stuffed animals I get him are puppies. And well of course when I got this stamp set he almost claimed it as his own. 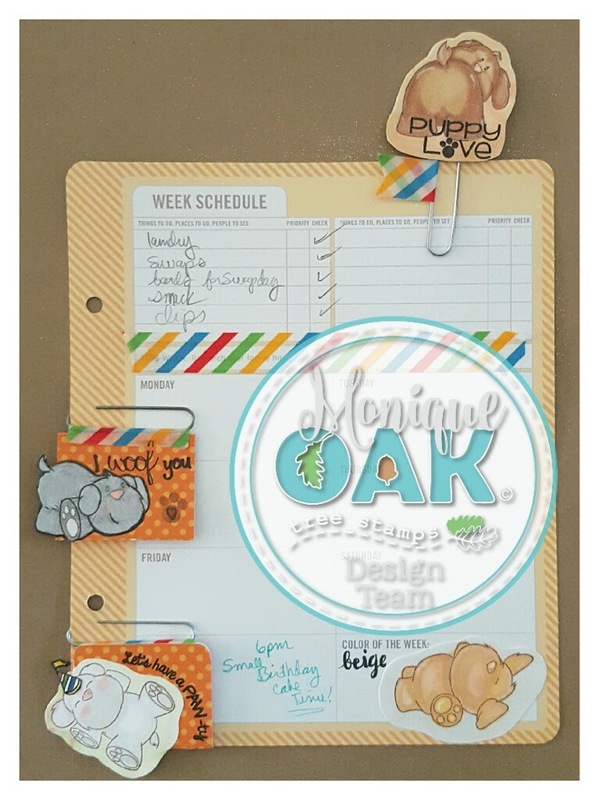 These adorable little paperclips were so easy to make. 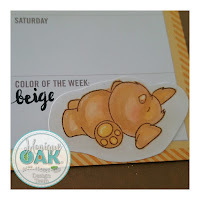 I simply stamped out my image using Tim Holtz Walnut Stain Distress Ink. 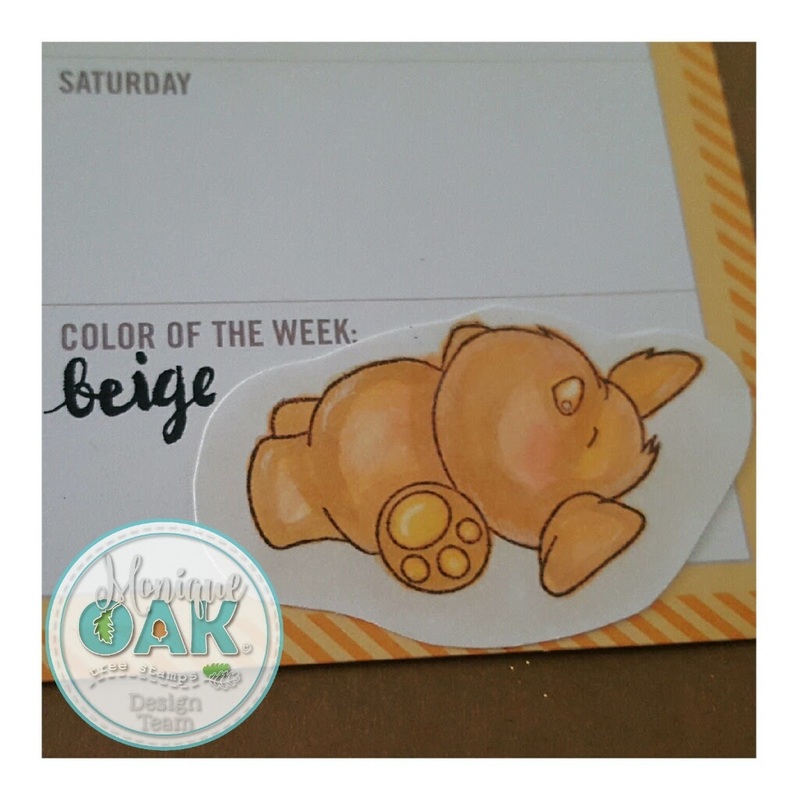 Next I used my Copic Markers to Color in my image and background. Highlighting with a white gel pen. Then stamps my sentiment using Rangers Archival Ink in Jet Black. 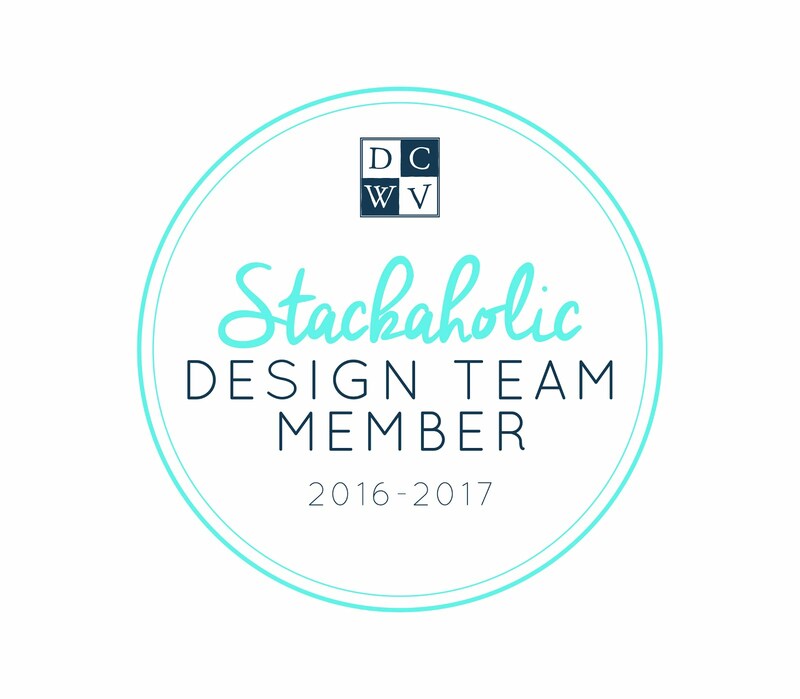 I cut out my image by hand then used simple washi tape from my stash to make a little flag & attach the image to the paperclip. 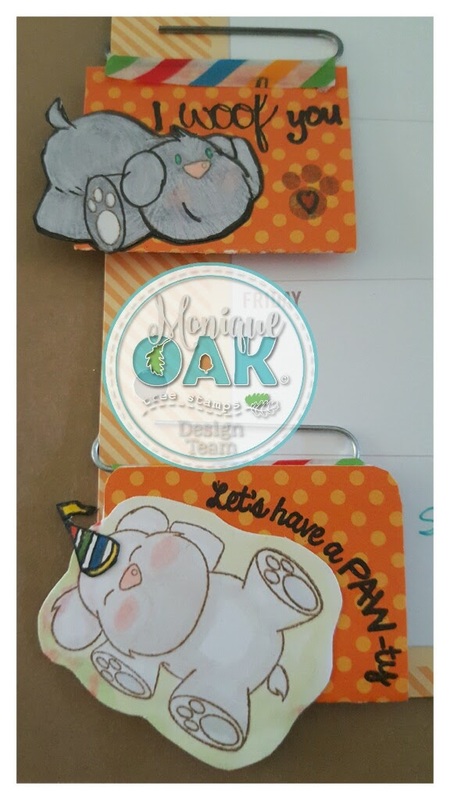 These cute little paper clips were made by attaching my images to a piece of Patterned Cardstock that was folded in half then rounded and attached to the paperclips with washi tape. 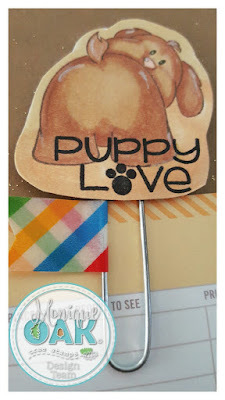 Hope you enjoyed my little project and go get the Puppy Love Stamp set to enjoy!